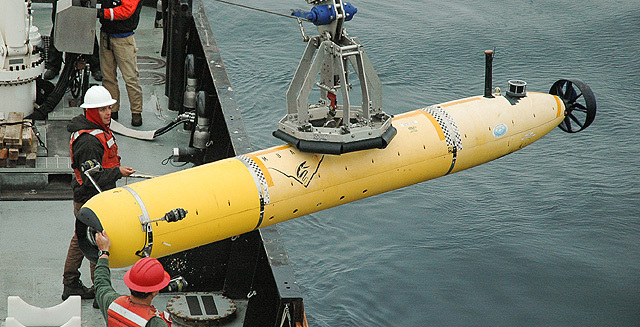 When science illustration student Phillip Krzeminski visited MBARI earlier this year, autonomous underwater vehicles (AUVs) seemed to be everywhere he turned. It just happened to be the day before a large experiment involving almost every AUV in the institute’s fleet, so technicians and engineers were preparing the vehicles for launch. The vehicles and the various science missions they are capable of intrigued Krzeminski, inspiring him to create an animation that would help explain these sophisticated research tools. As a student at the Science Illustration program at California State University, Monterey Bay, his work primarily focused on static images of the natural world. This project would be a nice complement to that work, he said, because it would show his abilities in technology as well as give him more experience with animation tools. 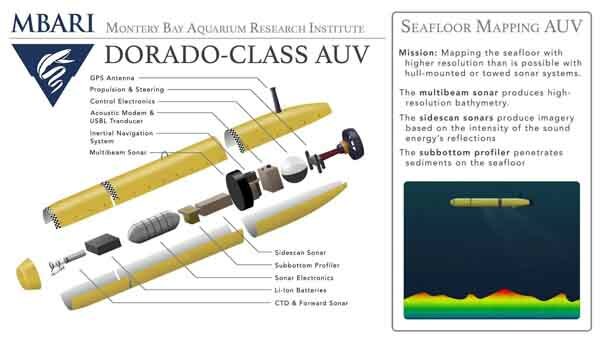 Krzeminski’s animation shows the inner workings of MBARI’s AUVs. Click on the image to see the animation. Illustration by Phillip Krzeminski. 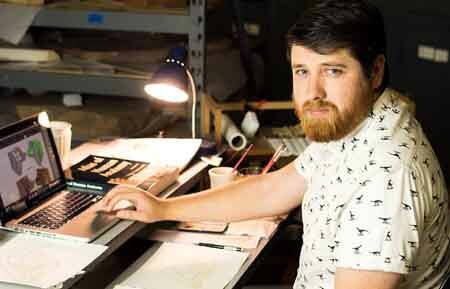 With his coursework now completed, Krzeminski is completing an internship as resident artist at the Raymond M. Alf Museum in Claremont, California, where he is producing reconstructions of prehistoric animals and environments (mainly from the Paleocene), as well as creating several smaller animations that show how a species of duck-billed dinosaur’s nasal cavity and crest changed as the animal aged. He hopes to focus his budding science illustration career on paleontology and marine biology. Phillip Krzeminski creates scientific illustrations at the Raymond M. Alf Museum of Paleontology in Claremont, California. Photo: Gabriel-Philip Santos. 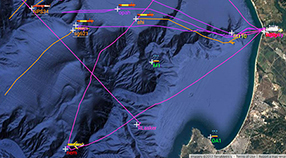 May 3, 2017 – New partnerships and technologies add an exciting new dimension to MBARI's 2017 CANON experiment. In the near future, when MBARI scientists want to collect a sample of seawater, they won't have to go out in a boat—they'll just send out a robot submarine.